E. Darracot Vaughan, JR., MD is the chairman emeritus of the Department of Urology and the James J. Colt Professor of Urology at the Joan and Sanford I. Weill Medical College of Cornell University, and the past attending urologist-in-chief at New York-Presbyterian Hospital. Additionally, he serves as attending surgeon, Department of Urology at Memorial Sloan-Kettering Cancer Center, New York. Dr. Vaughan received his bachelor’s degree from Washington and Lee University in Lexington, Virginia and his medical degree from the University of Virginia in Charlottesville where he completed his residency. He was a trainee under an NIH training grant while taking his residency training, and received his masters of science in surgery. Subsequently, he was a special fellow in urology under the Public Health Service at Columbia-Presbyterian in internal medicine and then returned to the University of Virginia where he obtained a research career development award and was funded through a grant from the American Heart Association. 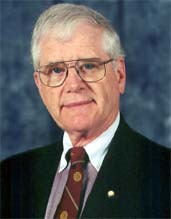 Dr. Vaughan left Virginia and joined the faculty at Cornell University Medical Center in 1978. Dr. Vaughan is president emeritus of the American Foundation for Urologic Disease, past co-chairman of the Prostate Health Council, past chairman of the Research Committee of the American Urological Association, past deputy chairman of the National Kidney and Urologic Disease Advisory Board, past president of the New York Section of the AUA, past president of the American Urological Association and is currently on the Board of Visitors of the University of Virginia and serves on the National Diabetes and Digestive and Kidney Diseases Advisory Council of the National Institute of Health. He is a member of numerous scientific societies including Alpha Omega Alpha. He has received the Gold Cystoscope Award from the American Urological Association, the Barringer Medal from the American Association of Genitourinary Surgeons, the Valentine Medal from the New York Academy of Medicine, the Hugh Hampton Young Award from the American Urological Association and the St. Paul’s Medal from The British Association of Urological Surgeons. Dr. Vaughan was the editor of Seminars in Urology, co-editor of Campbell’s Urology and serves on the editorial boards of the World Journal of Urology, and the British Journal of Urology. He has had numerous publications in prominent medical journals including the Journal of the American Medical Association, the New England Journal of Medicine and the Journal of Urology. Dr. Vaughan serves as the Executive Vice Dean and Senior Associate Dean for Clinical Affairs at Weill Medical College of Cornell University and is responsible for the development of clinical programs, including involvement of the clinical staff in the evolving area of managed health care. He also serves as the Chief Medical Officer of the Physician Organization.